Rooms, services Haston City Hotel Wrocław is offering 111 tasfefully furnished, nice rooms for those looking for a place to stay at in Wrocław. The whole family will enjoy staying at this hotel thanks to child-friendly services being available. The hotel gladly hosts you and your pet as well, your pet may be taken in for an extra fee. You may taste delicious, fresh meals in the restaurant of the hotel every day. If neccessary, you may leave your car at the parking place of the hotel for an extra fee. In some of the rooms air-conditioning is in operation, ensuring that you will be feeling good also on warm summer days (please make sure on the information sheet of the selected room). At the hotel you may go online via wireless Internet connection (WiFi). You can find the exact list of services provided by Haston City Hotel Wrocław (including those for extra fees) and the exact equipment of the rooms on the information sheet below and on the information sheet of the respective rooms. Catering Booking prices indicated do not include catering. If you prefer another type of catering, you can also request breakfast to your reservation. Arrival, opening hours The earliest time to arrive is 14:00, the latest time to leave the rooms is 12:00. The personnel is at your service in English and Polish languages. 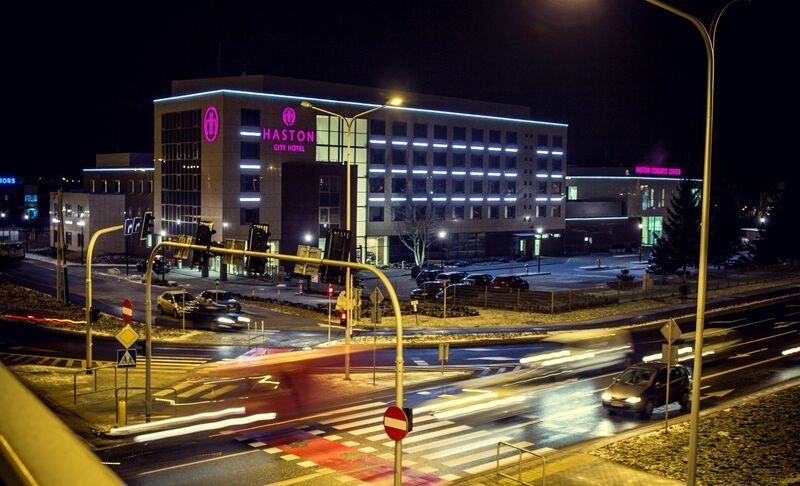 The rating of Haston City Hotel Wrocław is 9.2 from the maximum of 10, based on 12 real guest reviews. "Sniadania były za drogie. Parking strzeżony był dodatkowo płatne." 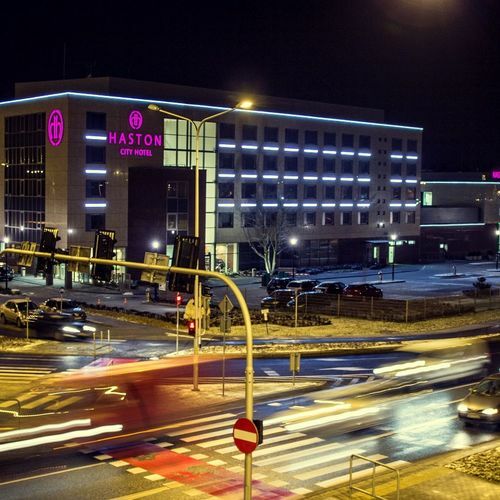 "Czystość łazienki pozostawia wiele do życzenia jak na hotel ****"
Based on the reviews and comments of actual guests, the services of the Haston City Hotel Wrocław have received a high rating of 9.1/10. Upon check-in, the guests are required to pay a security deposit of 100 %/reservation, which is fully refunded upon check-out in case no damage to the property is done! 83% of the guests would recommend it to their friends!